Garage door openers should not just open and close your garage door, but should be reliable, quiet, and safe. 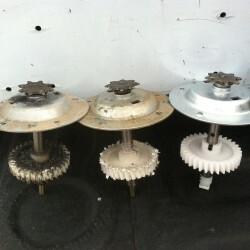 A+ Garage Doors carries a variety of garage door openers to fit any budget and garage door size. 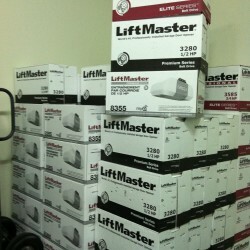 Different models from the industry leader LiftMaster® coupled with our professional installation or repair, will provide convenience, reliability, and safety to your home. Call A+ Garage Doors today for more information! Our garage door openers open quickly, eliminating unneeded waiting when leaving or entering your home. The near silent operation of these garage doors is perfect for those garages in close proximity to bedrooms or other homes. The garage door is an extremely large piece of moving equipment. A+ Garage Doors professional installation and repair promises safe operation of your garage door opener. 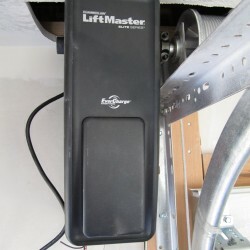 Incorrect repair and replacement can cause the garage door opener to exert an extremely large amount of force, which might not reverse in an emergency, possibly causing injury or death. Automatic sensors prevent doors from shutting while objects or people are obstructing the path of the garage door. The knowledgeable experience of A+ Garage Doors’ installers will prevent the possibility of mishaps. 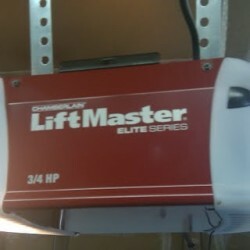 We offer remoteless garage door opener operation. You and your family will easily and safely be able to enter your home without keys or a hand held garage remote. Programming these keyless garage openers is simple, allowing users to set and change PIN codes as often as desired. 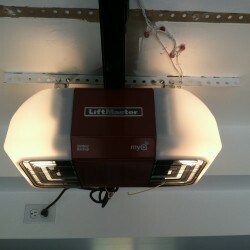 Our powerful garage door openers can lift and close all sizes of garage doors. Openers are designed to work smoothly in all of Utah’s weather conditions, from the blazing summer to the coldest winter, operating in temperatures as low as - 40° C.
Excellent lighting provided by A+ Garage Doors openers, makes it easy to locate items, navigate your garage safely, and can help eliminate the anxiety of entering your home at night. 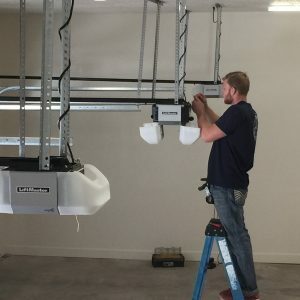 The quality of the parts and the quality of the installation are the largest contributors to the life of your garage door opener. A+ Garage Doors uses only the highest installation standards and LiftMaster products in the repairing and replacing of existing garage door openers. Our garage door openers and professional service is always backed by a 100% parts and labor warranty, so you can rest assured that your garage door will open and close properly for years to come.